Blank VHS tapes availability has been decreasing for many years as other recording formats such as optical discs were introduced. In addition, with the introduction of the DVD movie format in 1997, the decline in production and sales of commercially recorded VHS tapes began as well. The DVD movie format caught on quickly after its introduction and movie DVDs eventually squeezed movie VHS tapes out of rental stores. Some retail stores might still sell VHS movies, but the quality of titles available is less than impressive and quite narrow. The used VHS market is likely the best avenue to pursue if one is interested in obtaining VHS movies at this point. The use of PVRs or personal video recorders, which mostly makes use of hard drives for storing television programming, has significantly altered the television recording landscape and contributed to less use of VHS blank tapes for recording. The wide availability of streaming movies and television content has led to a decrease in the desire to record such content as well. Finally, downloading movies to computers has really eliminated the need for television recording, especially with older formats such as VHS. However, blank VHS videotapes have been resilient, more than the commercially recorded ones. Because many households still possess several VCRs and VCR recording is well known and easy, the blank VHS videotapes for recording television have been hanging around worldwide. Some, although limited, brand options are available in retail stores or online merchants that still sell these blank VHS videotapes. 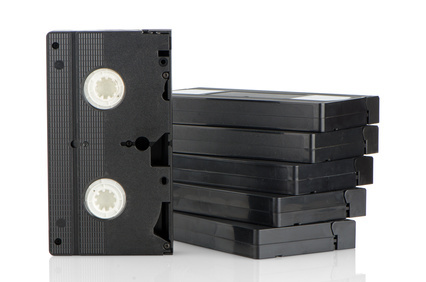 In addition, considering that these blank tapes are not in high production and no longer produced in top-notch manufacturing facilities, the quality of any new VHS tapes sold nowadays is likely to be suspect. 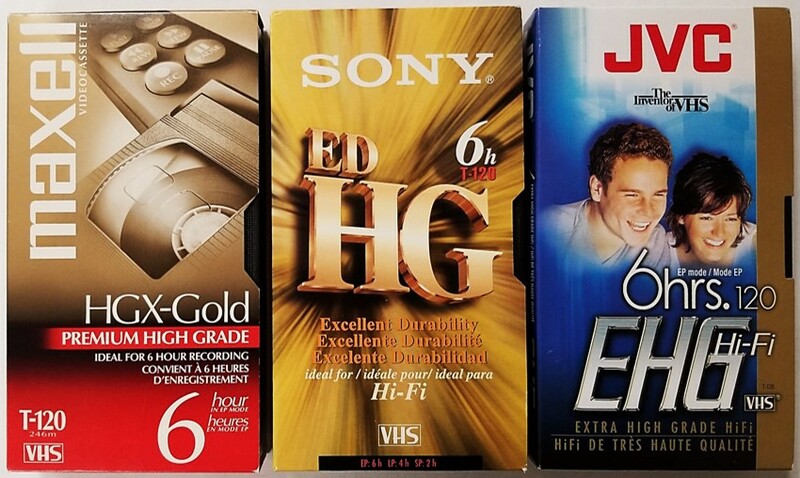 Blank VHS tapes come in a variety of different recording lengths. For each recording length, the amount of video content that can be recorded varies depending on the recording speed that is used. VHS recording has three recording modes for NTSC video recording and they are – SP or Standard Play, LP or Long Play, and SLP or Super Long Play. SLP is sometimes referred to as EP or Extended play mode. The best quality video recordings on VHS tapes occur in the SP mode. Conversely, the LP and SLP modes are lower quality because much more information is being packed on the same quantity of tape. The cassettes tape lengths are T-20, T-30, T-45, T-60, T-90, T-120, T-160, and T-180. The T-120 blank tape format was the most popular and the most likely to be found in videotape collections. At the Standard Play setting, two hours of video can be recorded on one T-120 cassette. If using the SLP mode, then six hours of video can be packed into the same cassette. Although blank VHS tapes are still available in the VHS format, the writing is on the wall. Eventually, production and availability of this tape format will be even less than it is today. It is not a format that should be used to store valuable video memories any more. Today, there are far superior and more convenient ways to record video content. The average lifetime of magnetic tape stored under standard room conditions is 10 to 30 years. Therefore, many VHS tapes stored in collections are approaching the point where degradation of the tape is an issue. This factor, coupled with the reality that equipment is no longer being manufactured to play VHS tapes, means any content stored on VHS tapes, needs to be digitized as soon as possible.